Cut the flesh of one avocado into cubes and set aside. Scoop the flesh from the remaining avocados and put it in a blender with the sparkling water, olive oil, and ice. Blend until smooth, then season to taste with salt and pepper. 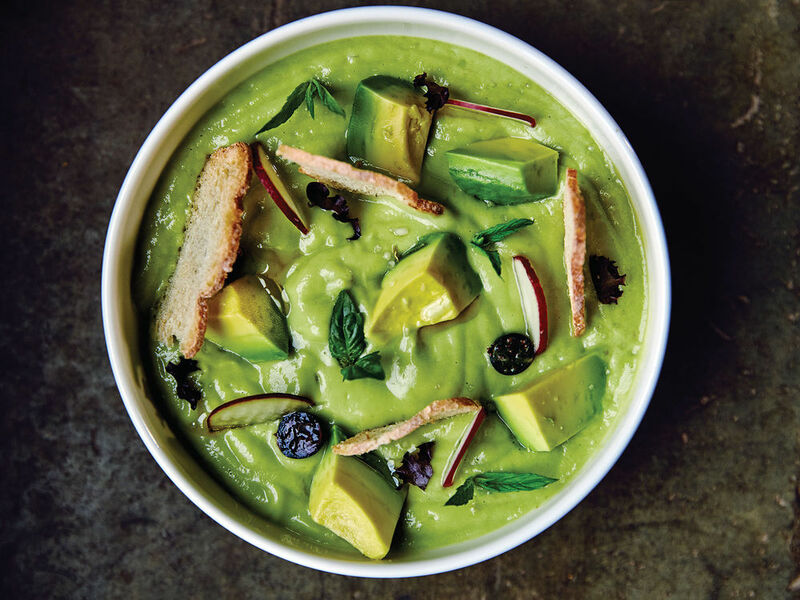 Divide the chilled soup between 4 bowls and garnish with avocado cubes, basil, radishes, and toasts. Sprinkle with red pepper flakes, more olive oil, and sea salt immediately before serving.